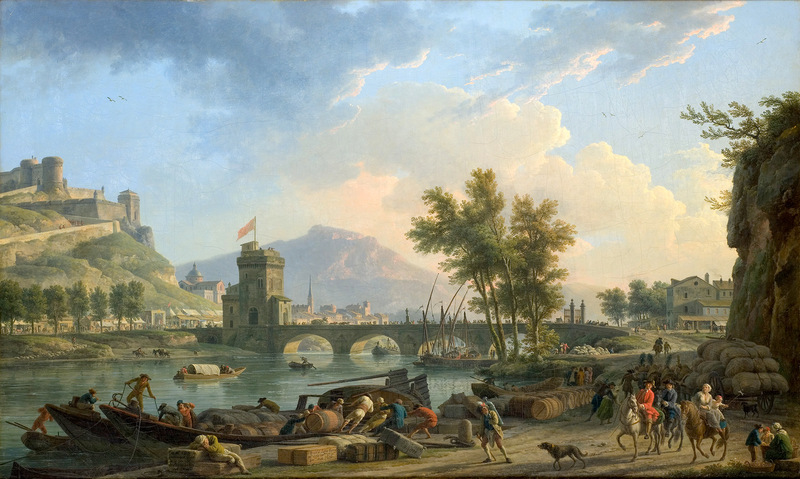 Claude-Joseph Vernet – Musée Fabre 837.1.91. Title: Les abords d’une foire. Date: 1882. Materials: oil on canvas. Dimensions: 98.3 x 163 cm. Acquisition date: 1837. Nr. : 837.1.91. Source: http://floramusee.montpellier-agglo.com/flora/servlet/PhotoManager?recordId=musee%3AMUS_PHOTO%3A842&idocsId=ged%3AIDOCS%3A1682&resolution=HIGH. I have changed the light and contrast of the original photo.